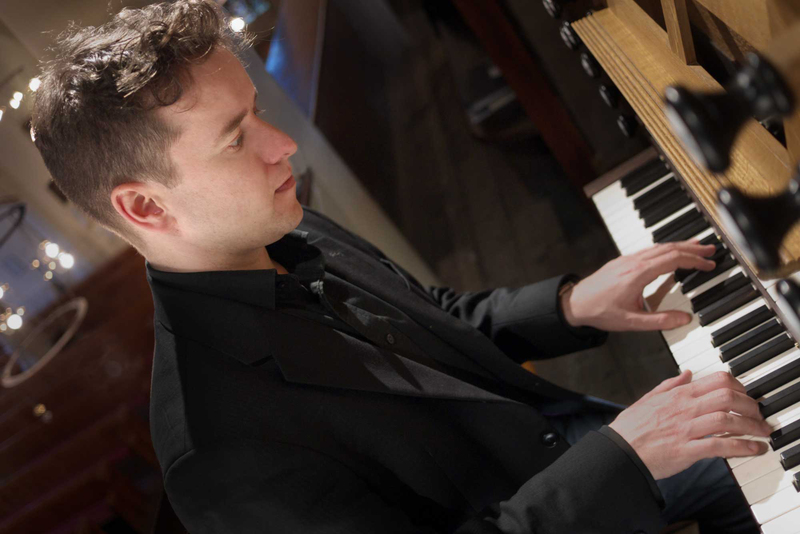 Daniel Moult, Head of Organ Studies at the Royal Birmingham Conservatoire and international concert artist, is “one of the finest organists of our time” (The Organ). Renowned for his virtuosic, intelligent and engaging performances, his musicianship has been praised as “exhilarating” (Gramophone), “dazzling” (The Organ), and “formidable” (Organists’ Review). Daniel’s innovative approach to the promotion of organ music has seen him presenting and performing in the DVDs Virtuoso! Music for Organ, a film featuring some of the most demanding organ repertoire of the twentieth-century, and The Elusive English Organ, a journey through English organ music from Byrd to Wesley. 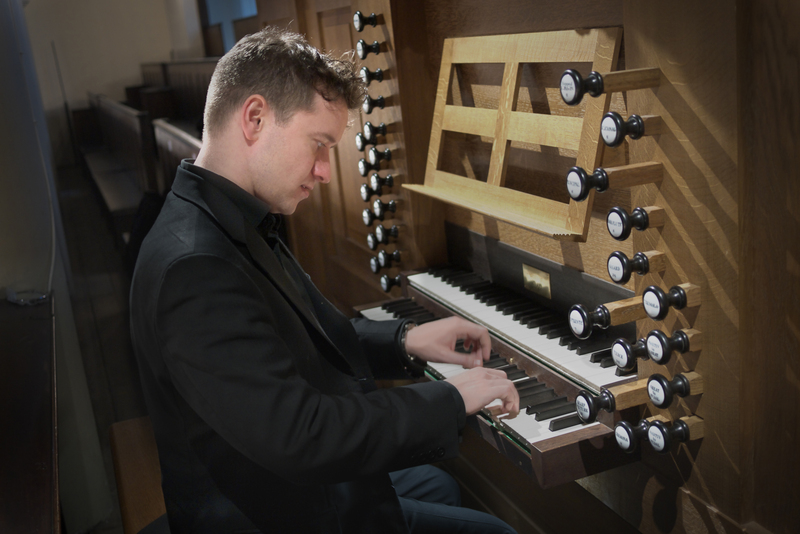 He is currently filming The English Organ, a major DVD and CD boxset covering music and organs from Handelian times to the present day. 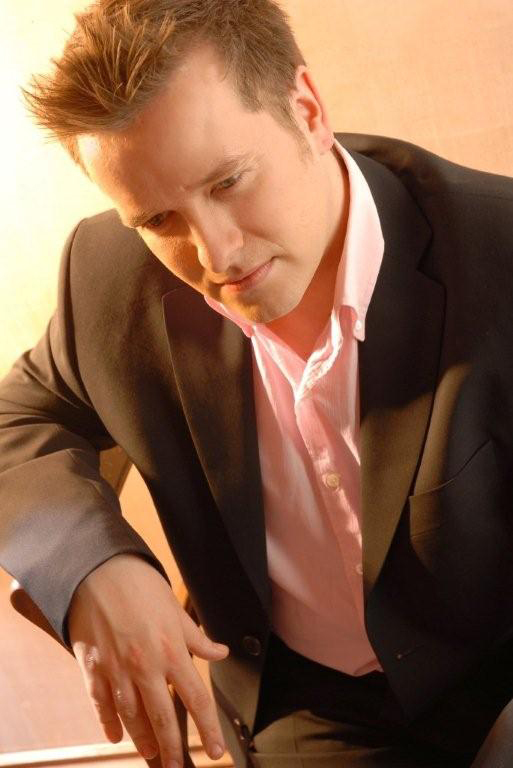 He has made several CDs, including the first solo recording of the newly-restored organ of Arundel Cathedral, and one of Handel's organ concerti and other pieces on the Signum Classics’ releases, Handel at Vauxhall. As a soloist, Daniel has performed in the UK, Europe, Asia and Australia. Upcoming appearances include major venues and festivals in the UK, as well as concerts celebrating Handel with the London Early Opera Orchestra, and concerti appearances in Germany. He has been Artist in Residence at Sydney Grammar School and is due to record in Australia and New Zealand in 2018/19. Based in London, Daniel was born in Manchester and studied at Oxford University and Amsterdam Conservatorium. At Birmingham, he heads the highly-acclaimed organ department in a new £57 million building. He teaches and leads masterclasses, workshops and courses around the world. 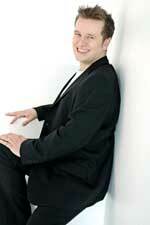 Daniel has published several editions, including the Easy Bach Album and the Easy Handel Album for Bärenreiter. He broadcasts frequently on BBC television and radio and has recorded for various record labels including Fugue State, Signum and Sony BMG. Daniel heads the highly acclaimed organ department at the Royal Birmingham Conservatoire, housed in a new £57 million building. Alongside his colleagues Henry Fairs and Nathan Laube (International Consultant), the department offers educational excellence to aspiring professional musicians. Born in Manchester, Daniel studied at Oxford University and the Amsterdam Conservatorium. Whilst at university, he was awarded the Fellowship diploma of the Royal College of Organists with three of the top playing prizes. Previous posts have included visiting organ tutor at Chetham’s School of Music, Manchester, Royal College of Music Junior Department, Organist & Assistant Director of Music at Coventry Cathedral, and Artistic Director of The London Organ Day. A sought-after teacher, he leads masterclasses, workshops and courses around the world. He is a Trustee of the Royal College of Organists, for whom he also examines. Daniel has published several editions, including the Easy Bach Album and the Easy Handel Album for Bärenreiter and the Complete Church Organist, Volumes 1 and 2, with RSCM Publications. His articles on performance practice and performance-related topics have appeared in various music journals. Based in London, Daniel broadcasts frequently on BBC Television and Radio and has recorded for various record labels including Fugue State, Signum, Regent and Sony BMG. 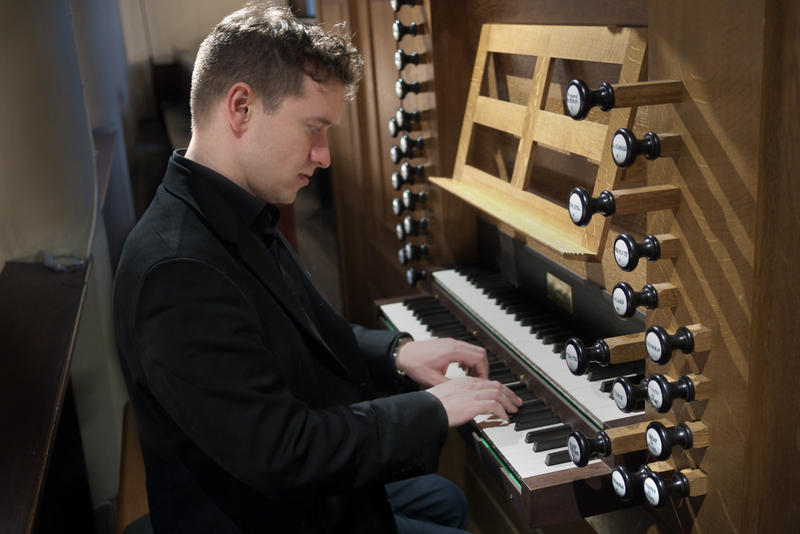 Daniel Moult, “one of the finest organists of our time” (The Organ), is an acclaimed concert organist, recording artist and organ tutor. His musicianship has been praised as “exhilarating” (Gramophone), “dazzling” (The Organ), and “formidable” (Organists’ Review). 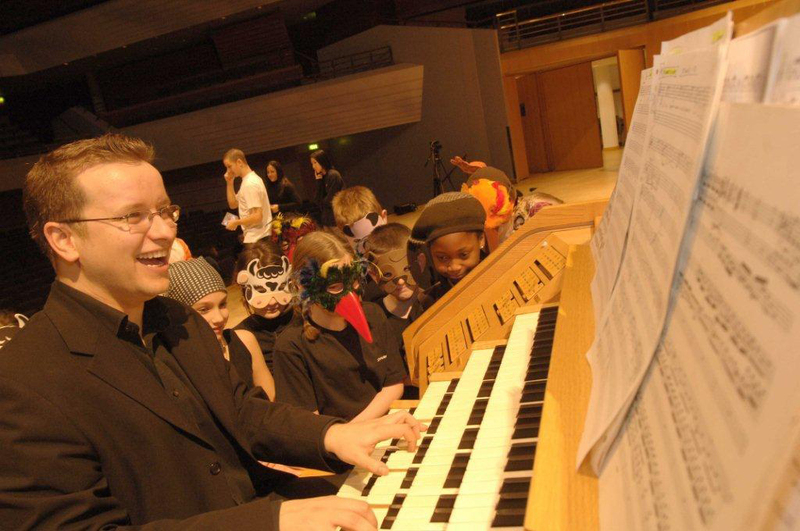 Based in London, he is the Head of Organ at the Royal Birmingham Conservatoire, and leads masterclasses, workshops and courses around the world. 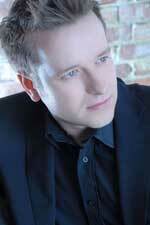 As a soloist, Daniel performs regularly throughout the UK, Europe, Asia and Australia. He has pioneered the use of film as a means of promoting organ music, and has presented and performed in two DVD releases. He is currently filming The English Organ, which will be released as a major box set in 2018/19. He has also appeared as a soloist and ensemble player on many CDs, including a performance of one of Handel's organ concerti and other pieces on Signum Classics, Handel at Vauxhall. Daniel was born in Manchester and studied at Oxford University and the Amsterdam Conservatorium. He has published several editions, including two organ albums with Bärenreiter. He broadcasts frequently on BBC television and radio and has recorded for various record labels including Fugue State, Regent and Sony BMG. A variety of high resolution images are available to download. Click on the thumbnail below to download high res image. Contact us if you have any difficulties with the files - click here to email.